Usually when you think of someone living in a tiny house, you think of young singletons and childless couples like myself. Tiny houses are appealing to people my age because they cost less to buy and run than regular houses. Moving into a tiny house is fairly easy for us too, because we tend to have no children and fewer responsibilities than older people. 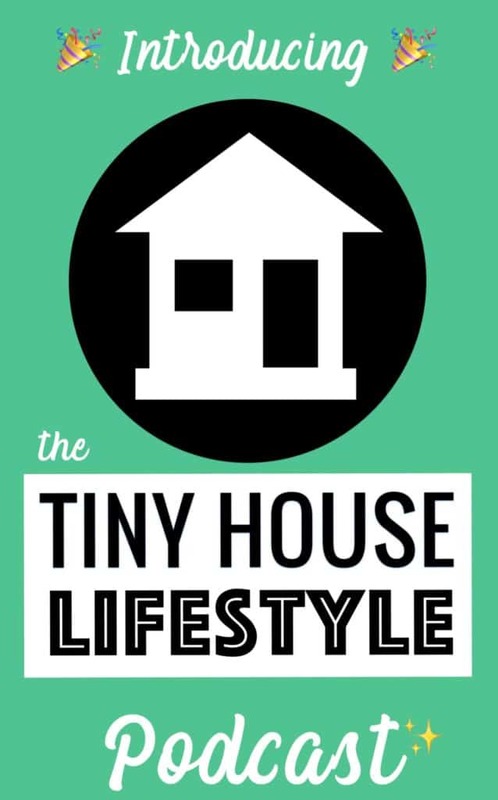 But I've been noticing recently that a lot of the people who email me about tiny house living are actually planning to move into tiny houses when they retire. Some of them are hoping they can cut living costs by going tiny. Others want to move away from the city and settle down in the countryside. Some plan to travel or visit family. And others see retirement as the ideal time to change their lifestyles and achieve a higher quality of life. But with their tight spaces and narrow ladders, tiny houses aren't the most obvious homes for older folk. This got me wondering how tiny houses could be designed to meet the needs of older people. When you're designing a tiny house for someone older (or even for someone who plans to live in their tiny house for a very long time), there are a number of things you should consider. When your home is going to take up just a few hundred square feet, the shower is usually one of the first spaces to take a hit. But if you're older, you might want to rethink that strategy. If you have or develop mobility issues, you may find yourself needing more space in the shower, whether that's because you need someone to help you wash, or because you need a mobility aid to help you stand. You might also want to consider installing a hand rail or a fold-away shower seat. Ladders can be awkward to climb at the best of times, but when your joints start playing up, you don't want to be hoisting yourself into a sleeping loft every night. Consider installing stairs instead of a ladder or forgoing the loft altogether. There are plenty of ideas on how to do this in my recent post How to Avoid Having a Ladder in Your Tiny House. To avoid having to climb up steps to get inside, consider building your tiny house on a foundation instead of on a trailer. Build it on one level too. If your heart's set on a tiny house on wheels, install a ramp instead of steps. You might also wish to use a handrail. 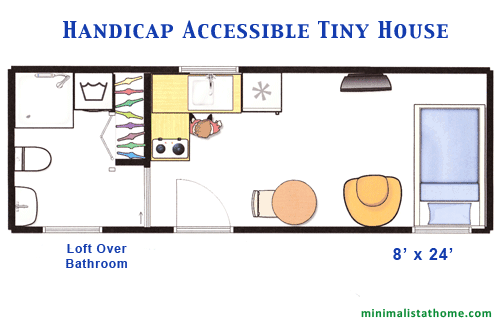 Tiny houses are not known for being wheelchair-friendly, but there are plenty of adjustments you can make to make them more accommodating for people with physical disabilities. Besides installing a ramp, you might consider using fold-down worktops, tables, and seats. By doing this, you can create more empty space, which will allow for wheelchair users' turning circles. Any doorways will also need to be at least 32 inches wide. Alternatively, you could install sliding doors. Where there are no worktops to hold onto, install handrails. Opt for a non-slip floor and install plenty of lights. 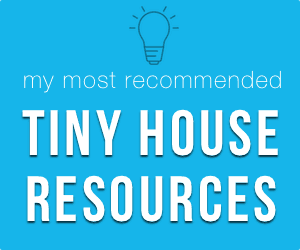 You'll want to ensure that your tiny house is well lit and that there's nothing you could trip over, like a loose rug. Think carefully about the types of storage you incorporate into your tiny house. As you age, you may not be able to reach storage space above your head. You may not have the strength or mobility to open large cabinets and cupboards. Opt for easy-to-use and lower-level storage space, for example drawers and under-sofa cupboards. If all else fails, you could always buy a tiny house that's been specifically designed with older or disabled owners in mind. Tiny Heirloom tiny houses include lots of features that elderly people find helpful. The Tiny Retirement home is a single-level home designed for those who would prefer to not climb a ladder. And the Magnolia Model was even designed for those with physical disabilities in mind. While they're harder to come across than young people living in tiny houses, I've managed to find a few examples of older people who are living in tiny houses. Prepare to be inspired! Bette Presley, a seventy-something mother of five, spent years researching tiny houses before moving into her Tumbleweed tiny house in 2014. Her 166-square-foot cabin features a built-in platform bed for her to sleep in and a loft space for guests to stay in. She decided to downsize to avoid ever having to live in a nursing home and to make sure her children won't have to sort through too many of her belongings when she dies. She wanted to be closer to both nature and her kids, to get rid of clutter, and to get off the grid. 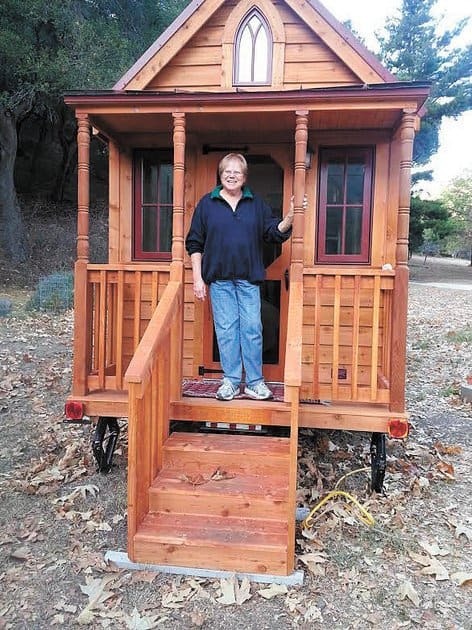 In 2012, Faith Jones wrote a blog post about her grandmother who, she said, would soon be moving into a handicap-accessible tiny house on her property. Faith's grandma didn't want to move into a retirement community and live too far away from her family. She wanted a space of her own, but the family couldn't justify spending a small fortune on building a small cottage for her. A tiny house seemed like the perfect solution. That said, Faith's grandmother wouldn't be able to climb a ladder to get to a sleeping loft, so the family came up with a studio-style tiny house design for her. The loft was going to be used for storage, the sleeping area was going to be on the ground floor, and the kitchen and bathroom were both going to be wide. It's unclear whether or not the build actually went ahead, but you can see the design of the house below. You've heard of small families living in tiny houses, but have you ever heard of an adult moving into a tiny house with her elderly mother before? Candice Ding and her mother moved into a variation on the Fencl tiny house when her mother's application to live in an apartment was unsuccessful. Candice has adapted the design to suit her and her mother's lifestyle. The house features a fenced-off balcony for their cat, an alternating stair to the sleeping loft, a second bedroom, and a home cinema projection screen. When Monica Smith's daughter and five grandchildren lost their home, she decided to give them hers and convert her shed into a cabin. What was once an 8×10 toolshed is now a super cute home, complete with kitchen, dining area, and upstairs bedroom. What's even more impressive is that Monica did all the work herself! 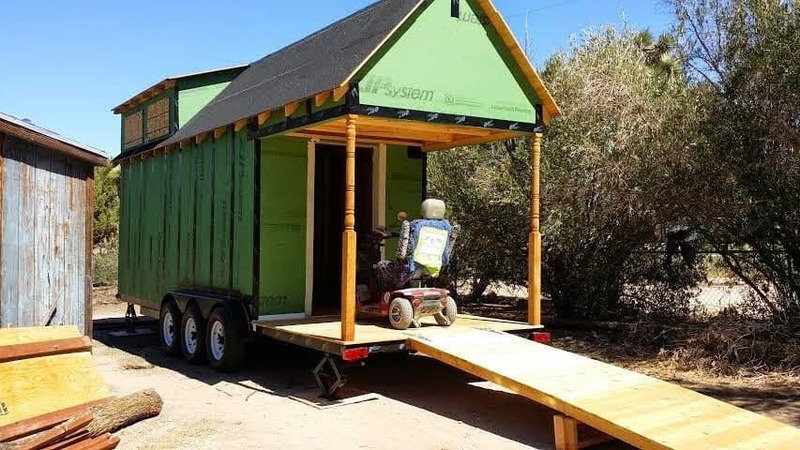 Dani describes herself as a “disabled almost 60 year old, who uses a mobility scooter, wears a leg brace and loves to read.” She's currently building a tiny house as part of her quest for a simpler life. Not long ago, she moved her mother from the home she had lived in for twenty-three years into an apartment. Sorting through all of her mother's belongings made her think of her own daughter. 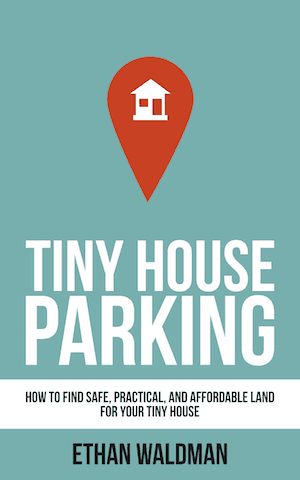 She didn't want her to have to go through the same thing, so she decided to look into tiny living. Because of her disabilities, Dani needed a tiny house with a wheelchair ramp and a 6-foot porch for her scooter. She settled on a modified Tumbleweed Elm. You can see how it's looking in the photo below. 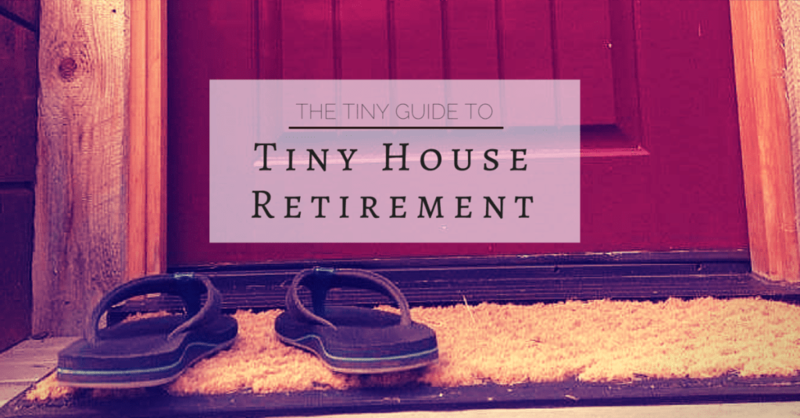 Retiring in a Tiny House is Very Possible! 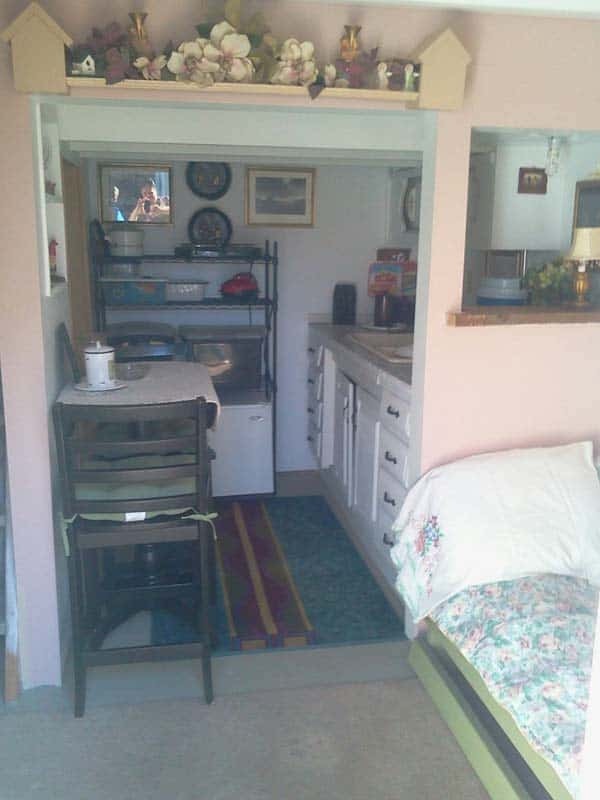 While tiny houses may not seem like the most suitable homes for older people and particularly those with limited mobility, there are plenty of ways to modify them to suit your needs. There are also plenty of older people out there already living the dream. If you're planning to retire into a tiny house, I urge you to consider the modifications outlined above and to think about how your needs might change as you age. You might also like to check out Ryan Mitchell's ebook The New Retirement. 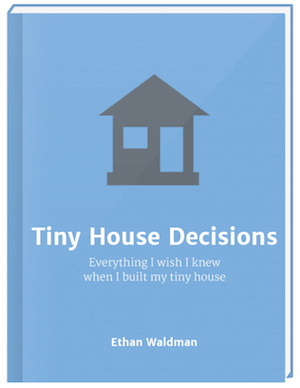 In this book, he explains how to retire in a tiny house and how to design tiny houses for people with limited mobility. The book also includes ten floor plans. Are you planning to retire in a tiny house? How will you adjust the design to meet your needs?